The college hopes to lessen its footprint on the environment by moving to trayless dining and paper products in its cafeteria. FERRUM — Students head back to classes today at Ferrum College to a more ecologically friendly campus. In a time when green is the new black, a student’s hands are the new cafeteria tray — literally. Along with other colleges and universities across the country, Ferrum will no longer have food trays in its cafeteria. “Trayless dining” is shown to reduce food waste, energy consumption and water use, according to a news release from the university. The college contends that the lack of a tray could also help reduce the “freshman 15” — the approximately 15 pounds some students are said to gain during their first year of college. College officials hope eliminating the convenience of a tray will make students think twice about what they choose to eat and carry. According to a July study by Aramark Higher Education, the cost savings and energy conservation aren’t the only reason for getting rid of trays. The move would also support education and awareness of environmental issues and decreases discharge into landfills. Aramark, a dining and conference center management company, studied 186,000 meals at 25 colleges and universities. The result? A 20 percent to 30 percent reduction per person in food waste. Along with the lack of trays, the cafeteria will provide paper products, making the move from plastic foam to biodegradable items. “With the second-oldest environmental science program in the nation, I think it is especially important for us to make every effort in this area,” said Cheryl Elkins, assistant director of food services. 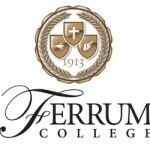 Ferrum students will also return to a larger student body. Following a three-year trend, enrollment at the private, liberal arts college has increased. More than 1,300 students from 18 states and five foreign countries will walk the campus, the largest enrollment in 24 years. The 2004 marketing plan set in motion increases in academic programs and diversity, said college President Jennifer Braaten, making the school more attractive to prospective students. The continued increase in enrollment continues to drive development on campus. Last weekend, students moved into the new Margaret M. Clark Hall, the third dorm built in three years. The 61-unit dorm will house 120 students and one resident adviser and also shows signs of the college’s commitment to green practices. Each of the rooms is equipped with heating and cooling units with motion sensors. If a student is away from the room awhile, the unit will automatically set itself to a more energy-efficient temperature. The unit will return to the set temperature when someone enters the room again.